While there are many similarities between the management of different types of properties, each type also has its own unique considerations. High rise condominium property management can present a set of issues that property managers may not have experience with if they’ve never managed a high rise. Here are three examples of some of the complexities high rise condominium management can bring and how to get help ensuring that your high rise is managed well and set up for success. Fires can be devastating in any type of residential property. However, there are specific concerns with high rise condos when it comes to fire safety. High rises have a large number of people occupying a smaller amount of space, and it may be difficult for firefighters to reach the top floors of the condo. The most frightening prospect is that a cooking accident or even accidentally leaving a candle lit and going to bed can create a fire that destroys the building — and lives. Property managers of high rise condominiums should have a comprehensive fire safety plan in place. The plan should include evacuation protocol and where fire extinguishers are located in common areas and in hallways. Make sure each resident gets a copy of the fire safety plan every year, and again if any changes are made to the plan. Security is also a significant concern for high rise condominiums. The security needs of these types of buildings are different from other types of property in that security personnel need to be posted at the front entrance of the condo around the clock. Or, you may have a system where the doors stay locked and are opened by residents only and guests can be buzzed in by the resident whom they wish to see. There should be no other way to get into the building. Post security cameras around the front entrance, in common spaces, and hallways. Make residents aware of the safety precautions you have taken and feel free to get feedback from your residents about what security measures they would like to see taken so they feel safe and secure. It’s important that someone from the management team be reachable at all times, day or night, holiday or otherwise. You can rotate shifts, but make sure that each property manager who is “on call” has the ability to handle a wide variety of issues that may arise. For example, an elevator that malfunctions at midnight with people inside needs immediate attention, and the person on call needs to be able to handle such a situation. Give your residents a list of who is on call and when and how they can be reached. You can also post this information in any common areas of the building. Need help managing your high rise condominium property management? You’re not alone. 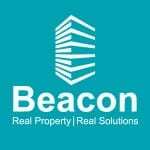 Beacon Management Services is an Atlanta property management firm specializing in many different types of property management, including the unique needs of high rise condos. We can help you meet the needs of your residents and position your condo for success. Call today at 404-907-2112 or contact us online.